One cold and rainy day, a man who walks with a limp delivers a package to a middle-aged lawyer who lives alone in a dreary apartment. In the following days, this object of mystery unleashes a series of murders and, in a certain way, discloses a world of outsiders and outcasts. 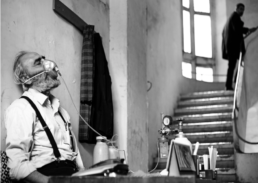 The Iranian director Keywan Karimi (who was sentenced to one year in prison and 223 lashes for his documentary Writing on the City), uses a gloomy black and white vision in the vein of Bela Tarr to depict a world with no logic or hope. In a dreamlike atmosphere, where characters, streets and places have no name, Tehran is the only ‘character’ whose name is evoked all the time. 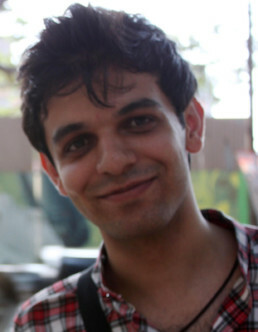 Born in 1985, Karimi is an Iranian filmmaker of Kurdish origin. His short films, such as Broken Border (2012) and The Adventures of a Married Couple (2013), were presented in numerous international film festivals. 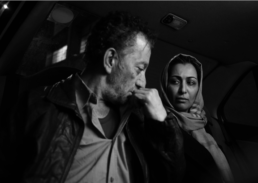 Because of his documentary Writing on the City (2015), focusing on the graffiti of Tehran walls from the 1979 Islamic Revolution to the 2009 re-election of Mohamoud Ahmadinejad, Karimi was arrested and held in isolation for two weeks in December 2013. In October 2015, he was condemned to six years in prison and 223 lashes for “offending Islamic sacredness.” In February 2016, the appeal judgment confirmed all convictions but reduced the prison sentence to one year imprisonment and kept the 223 lashes. His freedom is currently in a state of limbo: he has not yet been imprisoned, but he has not been acquitted and he can no longer appeal his final sentence. His status can be considered house arrest as he is unable to travel anywhere, for example: the Venice Film Festival for the premiere of DRUM. Karimi considers Yılmaz Guney (the Cannes Palme d’Or winner for 1982’s YOL and a Turkish director of Kurdish origin) as an inspirational example of a filmmaker who stood up for freedom of expression.